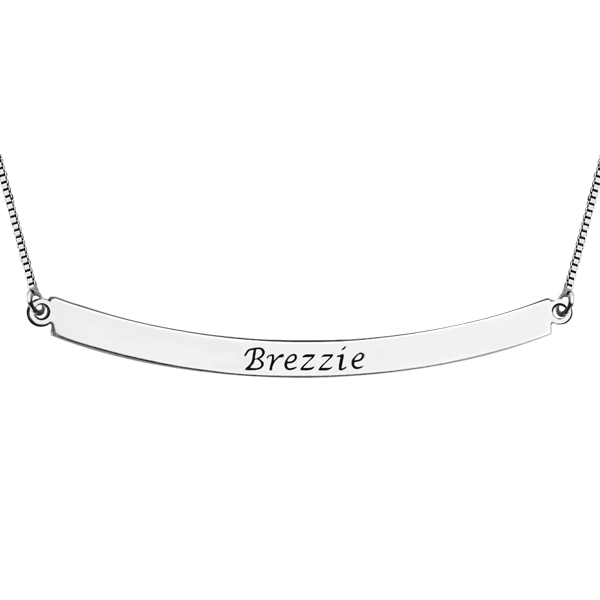 Curved Bar Pendant Necklace Sterling Silver - Spell it out with 0.925 silver. This personalized mini bar necklace comes engraved for FREE with a name or word of your choice (up to ten characters). 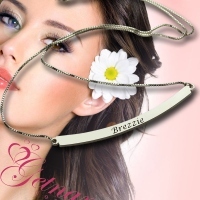 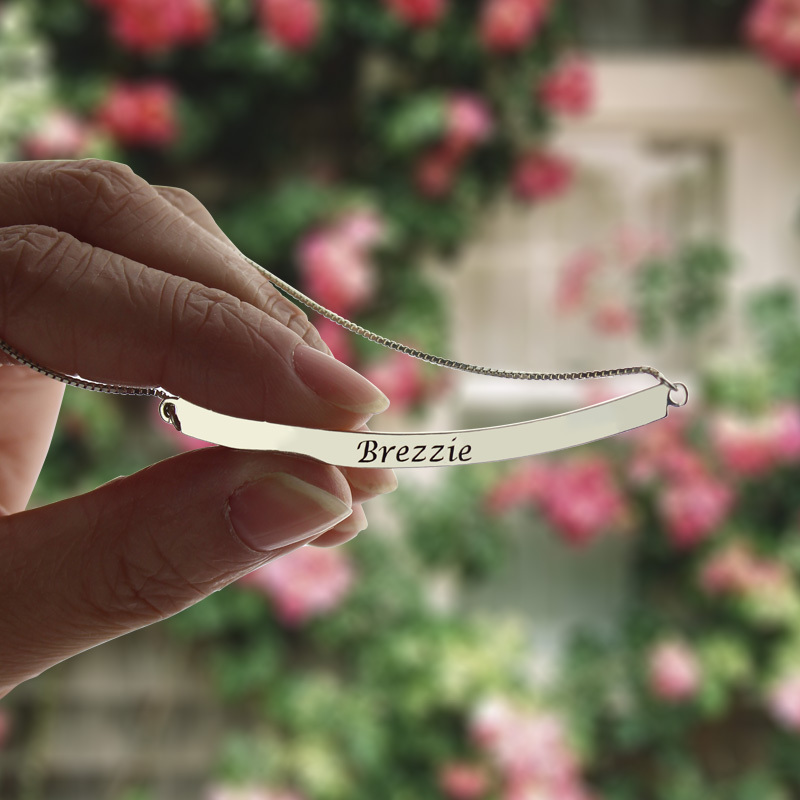 Fashion bar necklace engraved with name on it!This Curved Bar Name Necklace is a little different with straight bar necklace, slight bending of the curve is more fit to your neck. Personalized Gold Name Bar Necklace is great gift to ladies!